Old MacDonald's Farm, Post Rd, Norwalk, CT. The farm consisted of a restaurant, general store, candy shop, bakery and in the rear, a large petting zoo and amusement park. 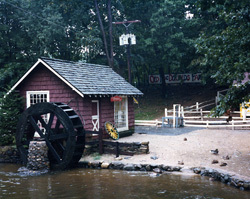 The Farm was open from 1955 to 1979. Copyright© 2017 NorthstarCampground.com All Rights Reserved.